It is wonderful that directors like Ava DuVernay, Angelina Jolie, and Gina Prince-Bythewood gave us superb films in 2014. But it is an indicator of the challenges still faced by women filmmakers that none of them was nominated for a major directing award. The Alliance of Women Film Journalists quoted the analysis of Dr. Martha M. Lauzen, executive director of the Center for the Study of Women in Television and Film and professor at San Diego State University. According to the latest Celluloid Ceiling study of women’s behind-the-scenes employment, women comprised a meager 7% of directors, 5% of cinematographers, and 11% of writers working on the top 250 (domestic) grossing films of 2014. These percentages do not differ appreciably from those obtained in 1998 when women accounted for 9% of directors, 4% of cinematographers, and 13% of writers. They also belie the fact that women are well represented as students in film schools nationwide….The unconscious bias underlying the stagnant gender dynamics is in desperate need of outing. Notions that there simply aren’t any women directors, women filmmakers aren’t interested in high-profile studio gigs, change is just around the corner, and that this is solely a women’s issue need to be challenged and recognized for what they are – excuses that serve as roadblocks to change. The New Yorker’s Richard Brody wrote about how critics have not given enough support to women in the film industry. Calling attention to their work as often and as vigorously as possible is all the more important because the cinematic roadsides are strewn with the wreckage of major artistic careers of independent female filmmakers of the past half century, including Shirley Clarke, Barbara Loden, Claudia Weill, Kathleen Collins, Julie Dash, and Leslie Harris—as well as such men as Wendell B. Harris, Jr., Matthew Harrison, and Rob Tregenza. Critical attention is all the more important for the makers of films that aren’t box-office hits, that aren’t widely advertised, and that don’t have the built-in publicity of celebrity actors. A review and some vigorous follow-ups can make clear the kind of important experience that awaits, an experience that may differ significantly from today’s mainstream but that, with the right breaks, should be tomorrow’s. Previous PostPrevious Snickers Wins the Super Bowl! Snickers Wins the Super Bowl! The real competition at the Super Bowl is for the commercials, right? This Snickers ad is a hoot. Previous PostPrevious How Did Ca Plane Pour Moi End Up in So Many Movies? How Did Ca Plane Pour Moi End Up in So Many Movies? How did a 1977 song in French by the Belgian singer Plastic Bertrand become a go-to for 21st century American movie soundtracks, from big studio films to quirky indies? “Ça Plane Pour Moi” has appeared in Martin Scorsese’s “The Wolf of Wall Street” and “We’ll Never Have Paris,” from writer/director/star Simon Helburg (Wolowitz in “The Big Bang Theory”). I first noticed it in “Ruby Sparks.” It’s also on the soundtrack of “Eurotrip,” “National Lampoon’s European Vacation,” “Beerfest,” “127 Hours,” and “Jackass 3.5,” as well as TV’s “Gossip Girl.” It was covered by Sonic Youth and Vampire Weekend, and by The Presidents of the United States, whose version was featured in a Pepsi commercial. Here’s the original version. And here’s the Pepsi commercial. The lyrics are nonsense words and the title is French slang for “it’s going well for me.” It’s going pretty well for Plastic Bertrand, nearly four decades after the song was released. Next PostNext Snickers Wins the Super Bowl! The most-anticipated sporting event of the weekend — in some circles anyway, is this year’s Kitten Bowl, Su-Purr Sunday, February 1 (12/11c) only on Hallmark Channel! 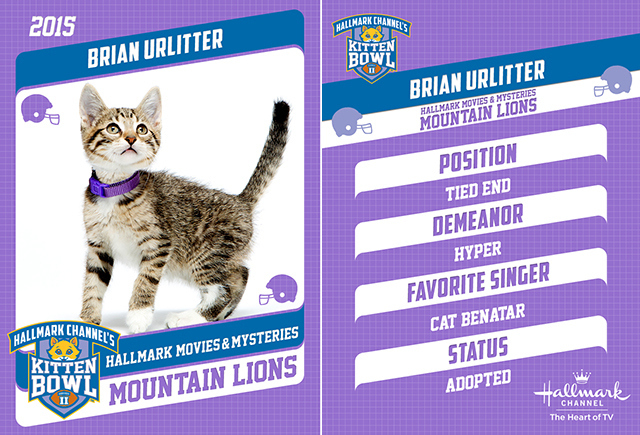 You can win a set of adorable Kitten Bowl player cards! Send me an email at moviemom@moviemom.com with Kitten Bowl in the subject line and tell me your favorite pet. Don’t forget your address! (US addresses only). I’ll pick a winner at random on February 5, 2015. Good luck! Next PostNext How Did Ca Plane Pour Moi End Up in So Many Movies? 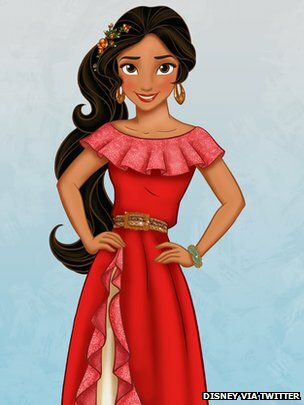 The Disney princesses have their first Latina member! Princess Elena of Avalor will make her debut in the Disney Channel series “Sofia the First” before starring in her own series on the Disney channel. Disney says she is “a confident and compassionate teenager in an enchanted fairytale kingdom inspired by diverse Latin cultures and folklore.” Her voice will be provided by Dominican Republic-born Aimee Carrero of ABC Family’s Young & Hungry. I’m really looking forward to it.